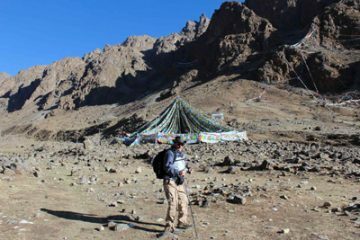 The 15 Days Tibet Trekking Tour to Everest Advance Base Camp at 6400m is the ultimate trekking tour for Himalayan mountain lovers. 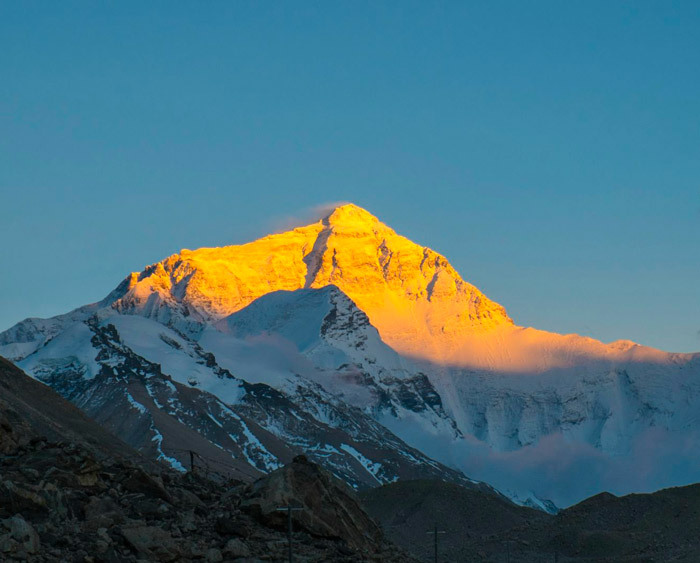 The expedition takes you across the Tibetan highlands and brings you to the Advance Base Camp of Mount Everest (North side). 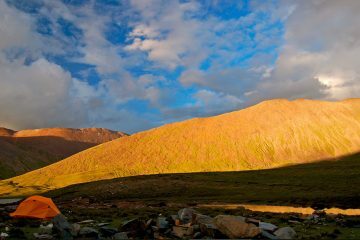 It is the highest trekking tour in the world and also the highest point on Mt. Everest that a non-climb can reach. We begin the tour in Lhasa and spend time there acclimatizing to the high altitude as well as explore the famous attractions inside the city. After visiting numerous important cultural and natural sites around Lhasa, we arrive at the foot of Mt. 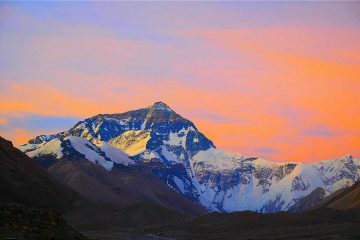 Everest and begin a 4-5 day trek from Everest Base Camp (5200 m). and The 22 km trekking route starts with Everest Base Camp (5200 m) and trekkers move upwards along hills beside the Rongphu Glacier. Tourists are able to appreciate the peculiar shape of glaciers and then reach the Intermediate Camp(5800 m) and keep heading upwards by passing the East Rongphu Glacier till the final destination—Advanced Base Camp (6400 m), located alongside the East Rongphu Glacier. Day 10 Trek to Camp 2 [5970m,5 km,6 hours] sometimes in summer season, the river floods, yaks can’t cross it, then today we start from interim camp(5760m)early and reach ABC and return to interim camp(5760m). Day 9 (B, L, D by cook): 2nd day rest in Everest Base Camp (EBC-17060 ft, 5200 m), Acclimatization at Everest Base Camp.